Bob & Blossom’s children’s shop on Columbia Road in East London is well worth a gander (combine it with a trip to the Sunday flower market). They specialise in stylish, retro clothes and accessories, like this ridiculously pretty flower head-dress for dress up or special occasions. Wonder if I can squeeze my bonce into it for Glastonbury? When you're buying for babies outside of your family, it's so hard to know what they already have. Which is where this brilliant Cornish company comes in. 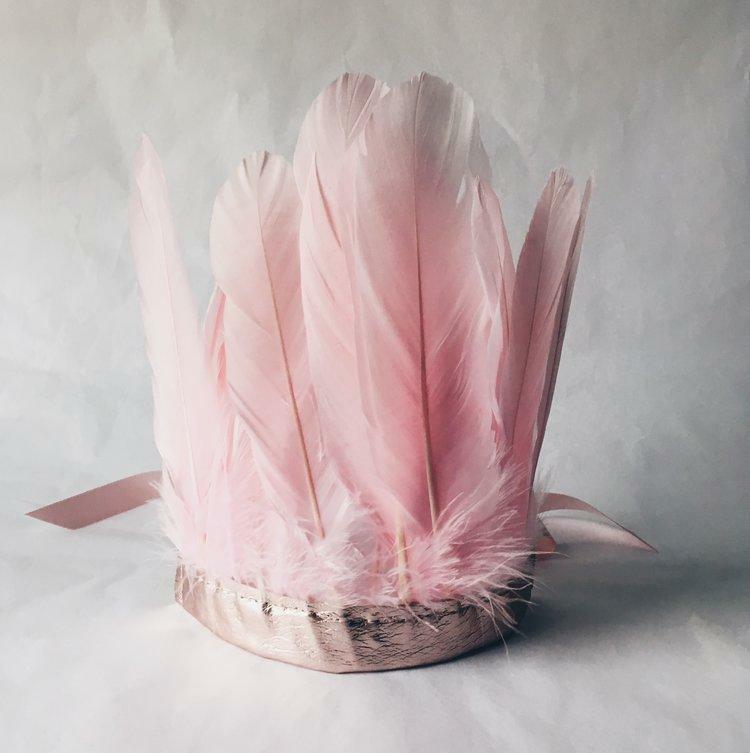 They source and hand-make beautiful, unique gift bundles, designed for each stage of development. 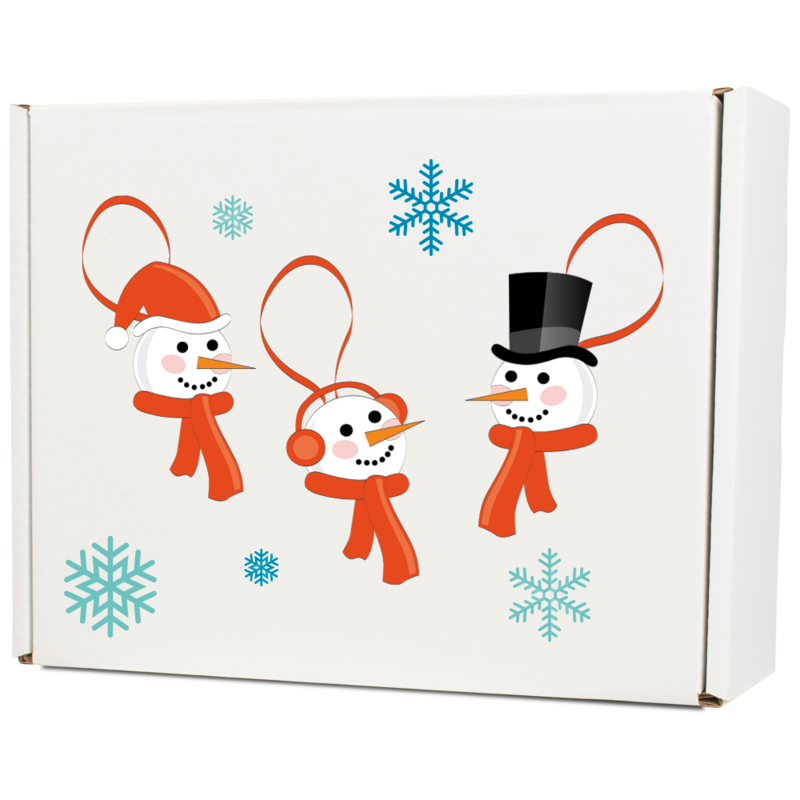 The themed boxes are called things like Snuggle, Chew, Munch and Move, plus there's one for baby's first Christmas. Sure beats yet another babygro. Making a massive mess is the number one hobby of every small child I've ever met and these gorgeous bespoke mud kitchens are just the place to do it. 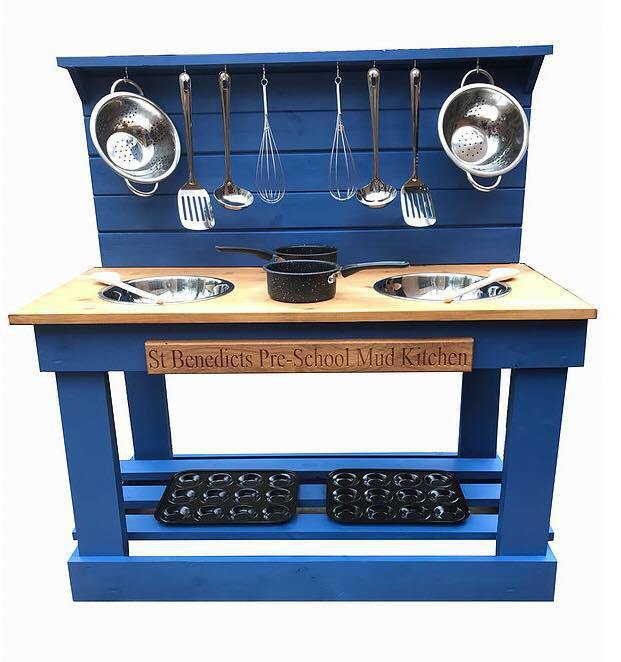 Handmade from reclaimed treated timber, and available in a range of colours from beach blue to sweet sundae, they come in a range of sizes, with washing up bowl and utensils included, and an engraved name plate. Bagsy not clearing up though. 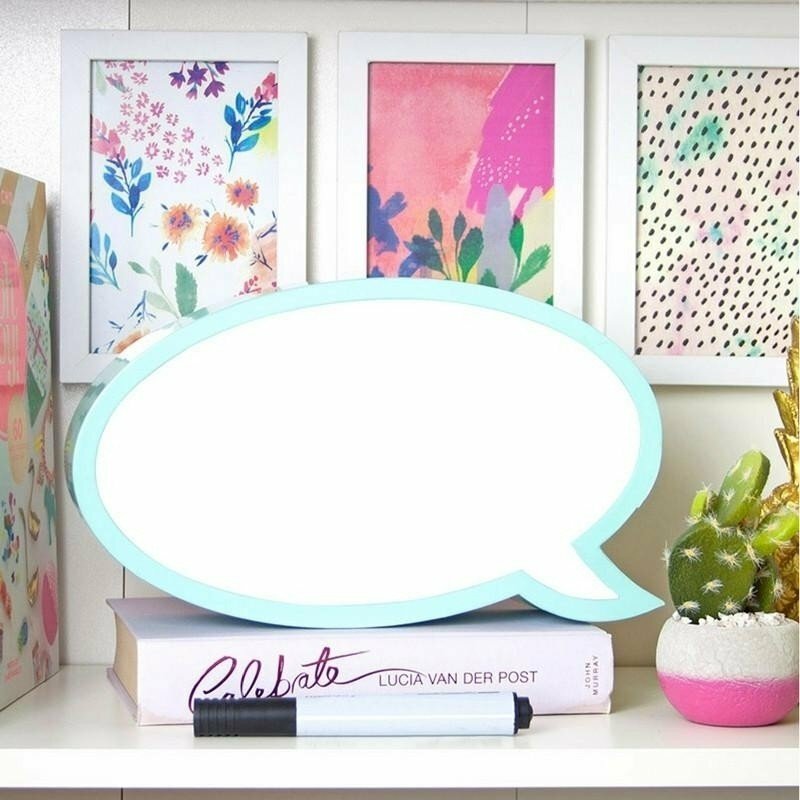 A natty little twist on the light box, this super-cute LED speech bubble comes with a pen for doodles and mini messages. Scribble, then watch it illuminate, before wiping clean and going again…and again. NB Parents are not permitted to sneak in to the small person’s room late at night and partake in graffiti, OK? Unique, adorable keepsakes for children, Halinka’s Fairies are handmade in Sussex from wrapped wire and gorgeous fabrics such as silk taken from vintage evening dresses. 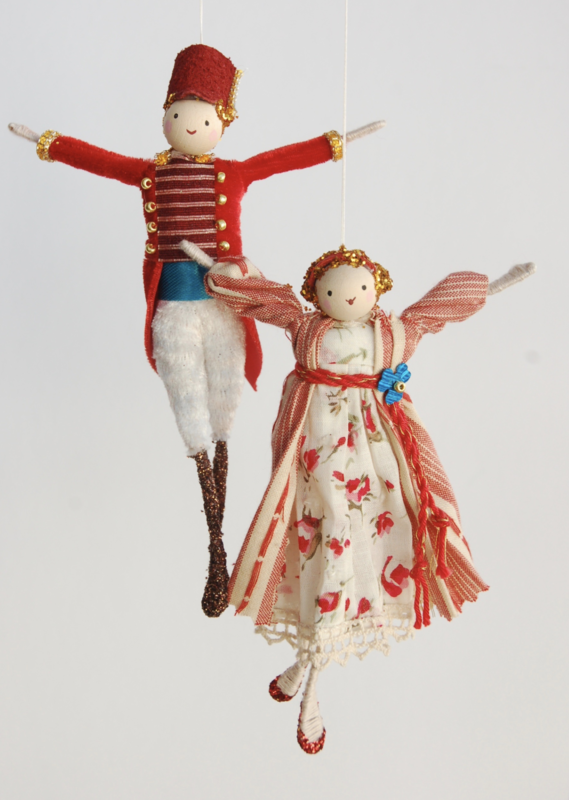 The Christmas selection includes Nutcracker characters, angels, mice and friends. Bring some magic to a child’s room or hang them on the tree each year. If you can’t get personal at Christmas, when can you? 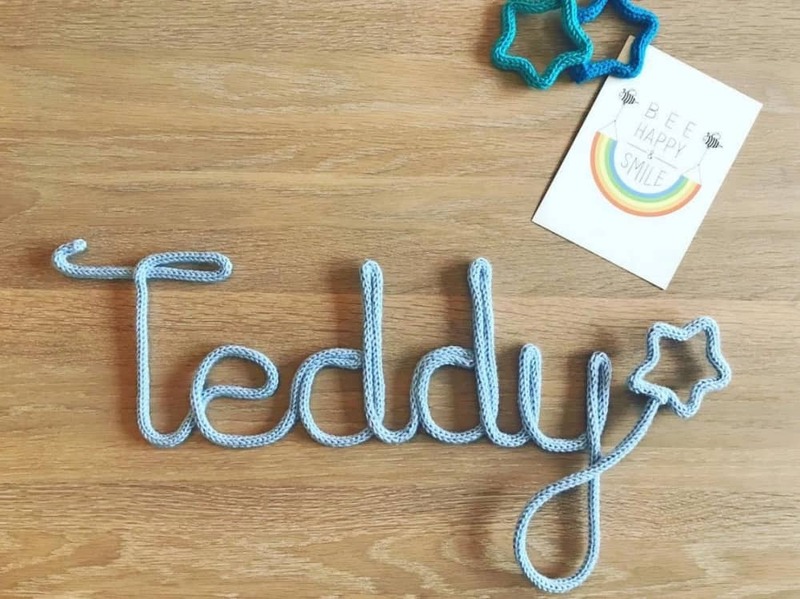 Turtle Dove Living’s bespoke knitted names are handmade to order and really rather special. Simply supply the name (or word), choose from one of 23 colours and you’ll receive it wrapped in tissue paper, prettily tied with ribbon, all ready to open on the big day. Last orders 12 Dec 2018, quote MUDDYXMAS to get 10% off. Any children’s site called Kid Vicious gets a thumbs up from Muddy. If you’re the kind of parent who’d rather die than have your children listening to Ed Sheeran and Little Mix, this one’s for you. It’s band merch for babies, basically, so that means Guns N’ Roses babygros, Beastie Boys bibs and these punk PJs for your mini rock’n’roll star. Who doesn’t like a box of delights to rummage through at Christmas? (*looks lovingly at the Quality Street*) Lucky Gecko specialises in educational activity packs, for children aged 8-12, and this Midwinter Box is crammed with arts, crafts and games. That should keep the little darlings quiet while you pour a Baileys or two. 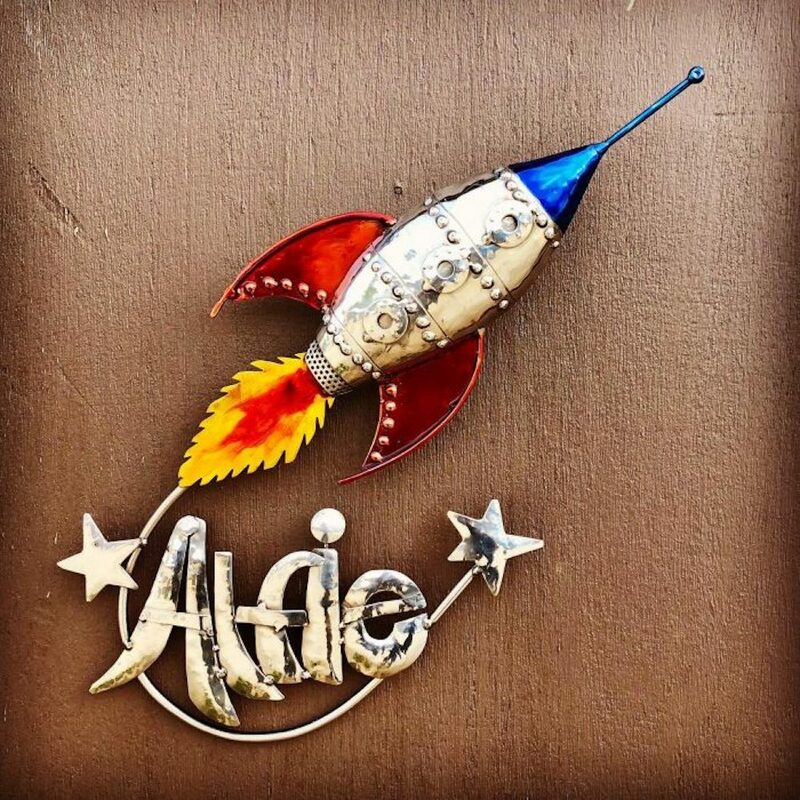 It’s never too early to start investing in art and with one of these fantastic name plaques from Michael Turner Studios, the small people in your life can be on their way to becoming seasoned art collectors. 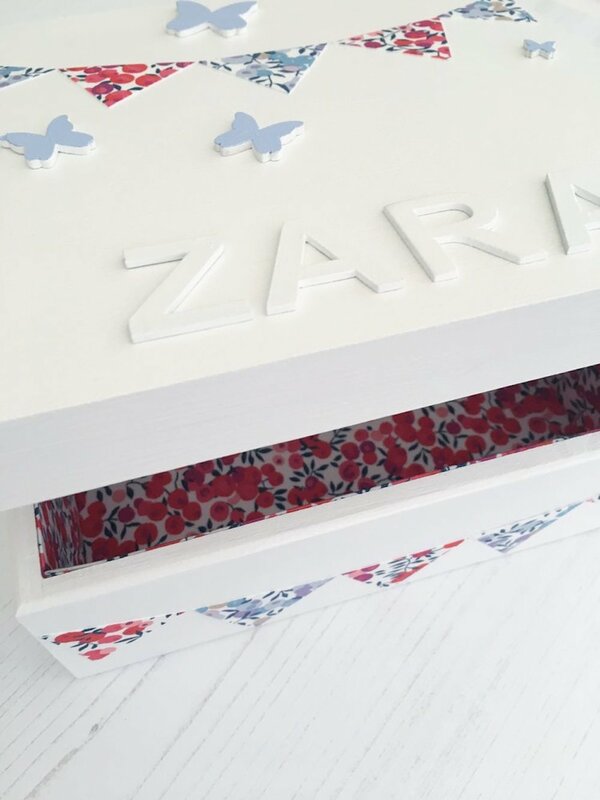 As each piece is handmade to order, they are totally customisable with name and whatever the child is into – flowers, butterflies, cars, you name it. There is no simpler pleasure when you’re little than a boiled egg and dippy toast soldiers. So why not eschew the boring old egg cup for this adorable (and wonderfully solid English Oak) serving block from La di da. Not only will it withstand the trials and tribulations of toddlers but it's adorable to boot. 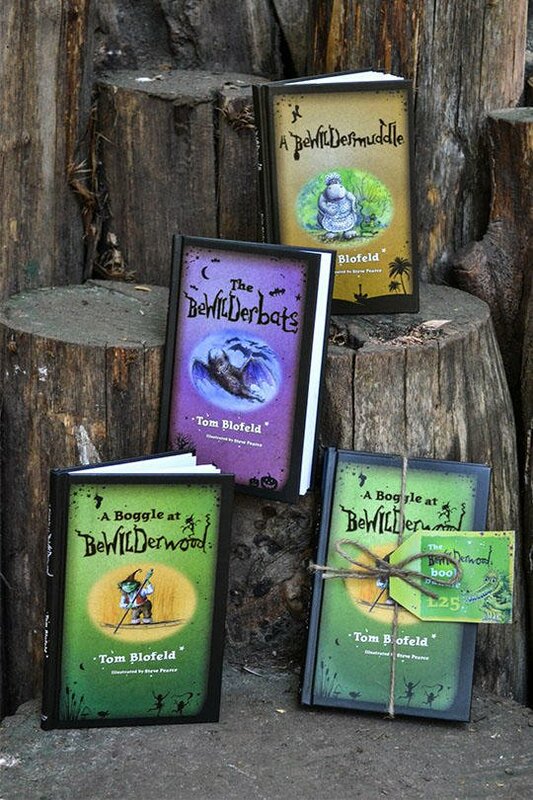 This series of fantasy children's books, written by Norfolk author Tom Blofeld will take little ones on a magical adventure deep into the enchanted world of Bewilderwood, home to the Boggle Swampy and his friends Mildred the Crocklebog, Thornyclod and SnaggleFang. Plus, if you want to bag some serious Santa points, bring the magic to life and exploring the curious tree house adventure hidden in the heart of the Norfolk Broads. Yeah, yeah, I know it’s not very practical but I couldn’t resist. 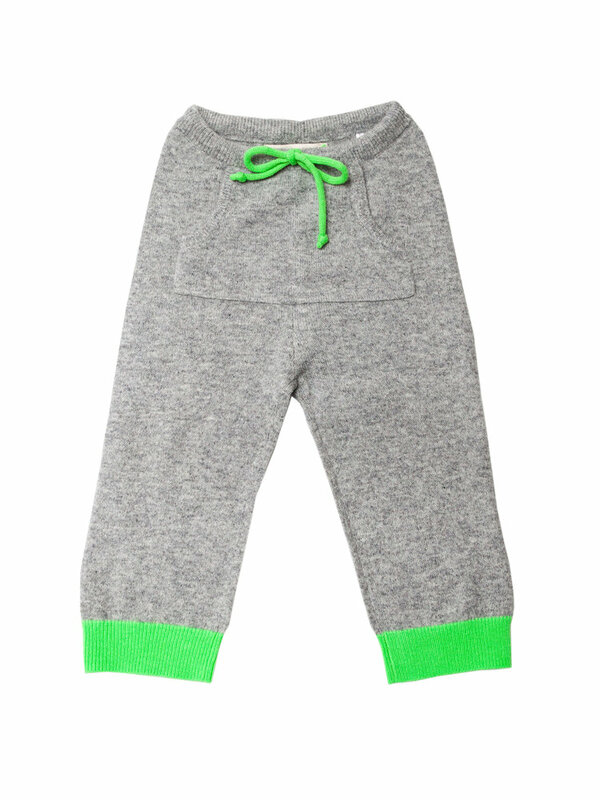 I love these cashmere baby trackies from Gussy And Lou, with the snazzy flouro green drawstring and cuffs (they come in pink too). There’s also a matching cardi for those who laugh in the face of dry-cleaning bills. 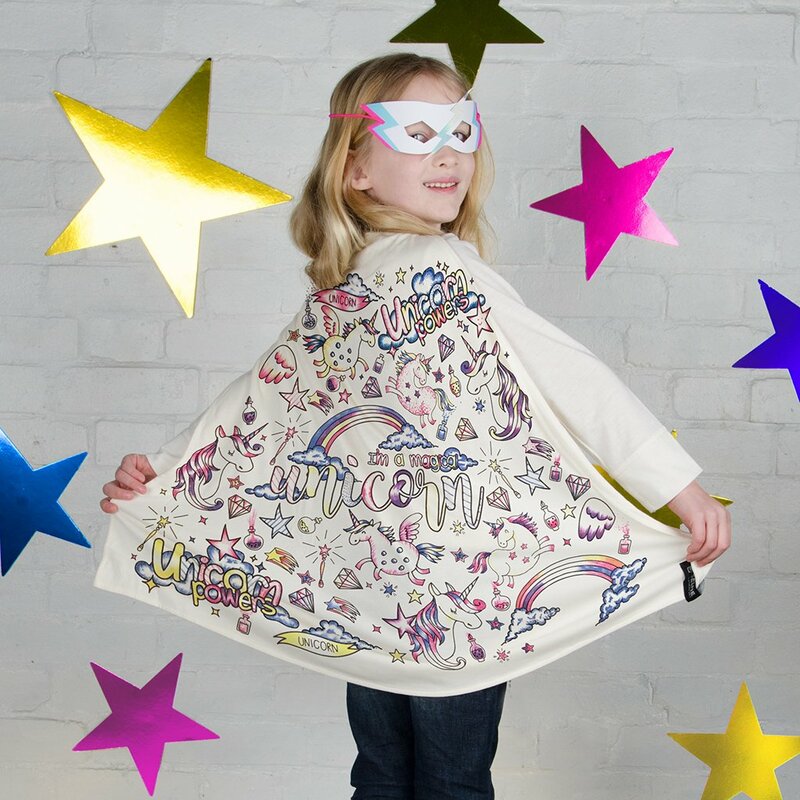 Introducing what every creative kid needs - a colour in super hero cape, of course! Choose either a Superhero or Unicorn cape and let your littlies customise their own design using the seven fabric colour pens. Once the ink is dry or ironed by a parent, the colours will not fade even if machine washed. Aaargh, too cute to compute! 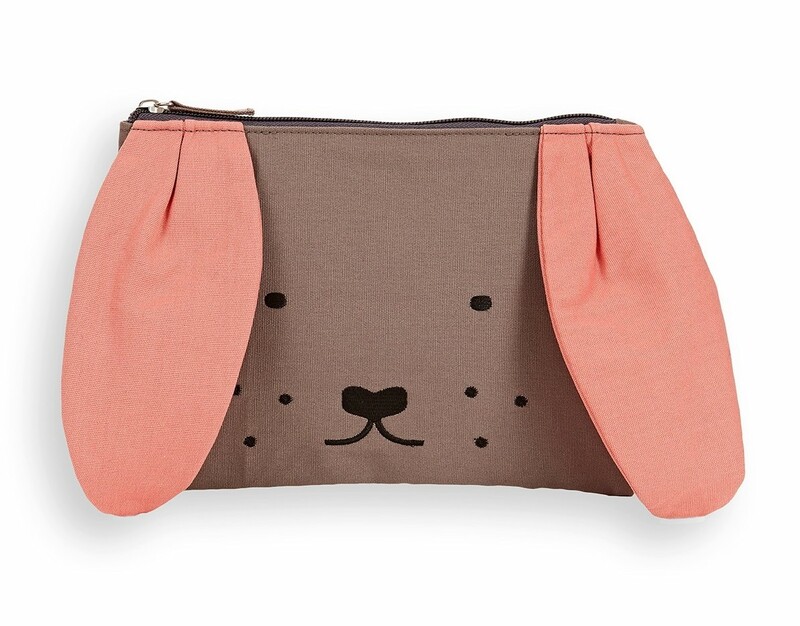 This doggy pouch from super-chic boutique Iris will make a great pencil case or knick knack holder. Mummy definitely won’t steal it for a make-up bag, don’t worry, sweetie. 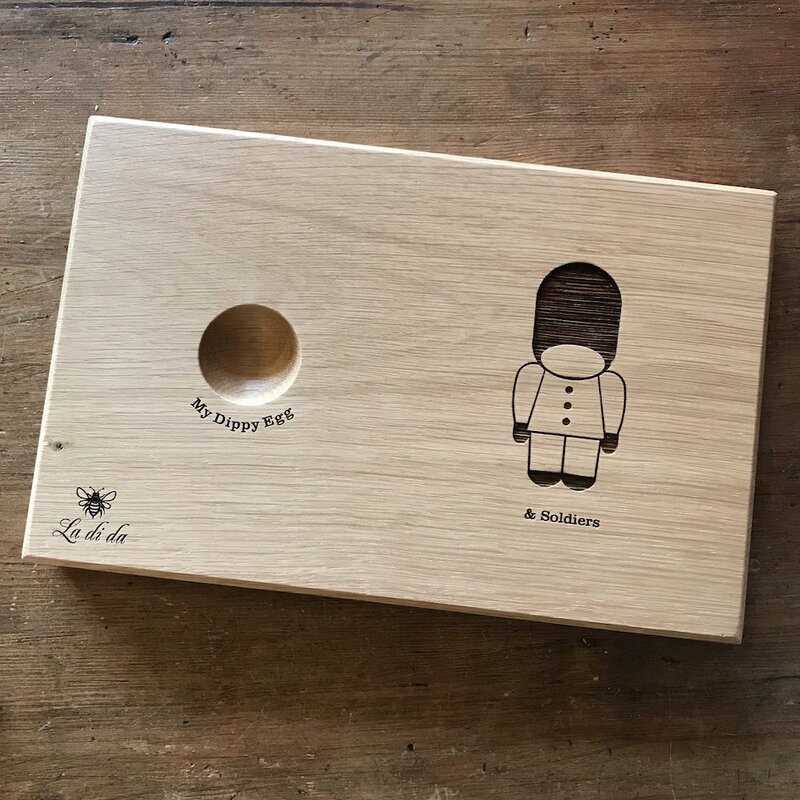 A special place to keep special things, this Keepsake Box from The Pink Pheasant is the perfect present for any little person. As well as being personalised with their name (ideal for keeping nosey siblings out) it’s also lined with gorgeous Liberty fabric to give it a wonderful pop of colour. Unisex children's clothes are popping up all over (hurrah for no more head-to-toe pink princesses!) and Claude and Co is one of our favourite brands. This adorable oatmeal slogan jumper is our pick of their latest collection. Made from the softest cotton, it'll keep them snug and warm while looking totally stylish too. Available in 0-4 years. 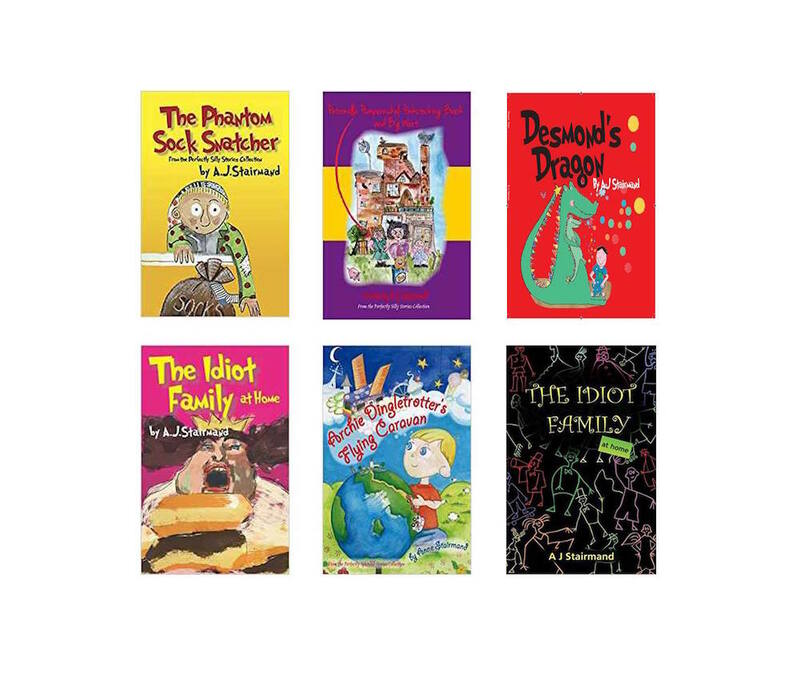 From Flying Caravans to Sock Snatchers, these perfectly silly stories by Anne Stairmand are sure to get young imaginations rolling. The collection is fantastically fun and the little ones won’t want to put them down; so it’s a quiet Christmas for you (you’re welcome!). 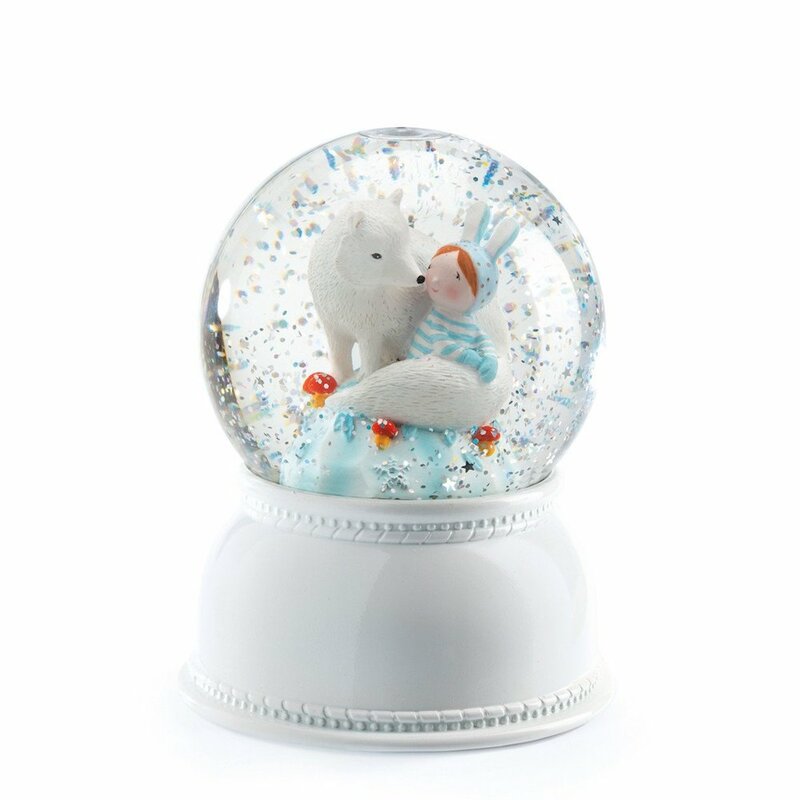 Who didn't love a snow-globe as a child? Happily they're still A Thing, and this one actually doubles as a night light, with glitter stars dancing across darkened bedroom walls. It's from Bath’s award-winning toy shop My Small World who say they're a popular gift for newborns.